This article is about the author and activist. For the cannabis strain, see Jack Herer (cannabis). Jack Herer and Dana Beal at the September 1989 Great Midwest Marijuana Harvest Fest in Madison, Wisconsin. Jack Herer in Washington, DC, 1989. Jack Herer (/ˈhɛrər/; June 18, 1939 – April 15, 2010), sometimes called the "Emperor of Hemp", was an American cannabis activist and the author of The Emperor Wears No Clothes, a book—in 2016 in its twelfth edition after having been continuously in print for 31 years—frequently cited in efforts to decriminalize and legalize cannabis and to expand the use of hemp for industrial use. Herer also founded and served as the director of the organization Help End Marijuana Prohibition (HEMP). The Jack Herer Cup is held in Las Vegas each year to honor Jack Herer. An early glass pipe entrepreneur, opening his first head shop in 1973, Herer was a pro-cannabis and hemp activist. There was a documentary made about his life called, "Emperor of Hemp," which was aired on PBS stations throughout the U.S. and was translated into French and Spanish. As an activist he taught that the cannabis plant should be decriminalized and argued that it could be used as a renewable source of fuel, medicine, food, fiber and paper/pulp and that it can be grown in virtually any part of the world for medicinal as well as economical purposes. He further asserted that the U.S. government has been deliberately hiding the proof of this from their own citizens. A former Goldwater Republican, Herer ran for United States President twice, in 1988 (1,949 votes) and 1992 (3,875 votes) as the Grassroots Party candidate. A sativa-dominant sativa/indica hybrid strain of cannabis has been named after Jack Herer in honor of his work. This strain has won several awards, including the 7th High Times Cannabis Cup. Jack Herer was also inducted into the Counterculture Hall of Fame at the 16th Cannabis Cup in recognition of his first book. In July 2000, Herer suffered a minor heart attack and a major stroke, resulting in difficulties speaking and moving the right side of his body. Herer mostly recovered, and claimed in May 2004 that treatment with the Amanita muscaria, a psychoactive mushroom, was the "secret". On September 12, 2009 Herer suffered another heart attack while backstage at the Hempstalk Festival in Portland, Oregon. He was discharged to another facility on October 13, 2009. Paul Stanford of The Hemp and Cannabis Foundation said "He is waking up and gazing appropriately when someone is talking... but he is not really communicating in any way." He died aged 70 on April 15, 2010 in Eugene, Oregon, from complications related to the September 2009 heart attack. Herer was buried at the Eden Memorial Park Cemetery in Mission Hills, California. European experts on hemp, like Dr. Hayo M.G. van der Werf, author of the doctoral thesis Crop physiology of fibre hemp (1994), and Dr. Ivan Bûcsa criticized Herer for making unrealistic claims regarding the potential of hemp, compare L.H.Dewey(1943). Herer claimed that hemp produces higher yields than other crops. Van der Werf argued that is simply wrong. Under most favorable growing conditions, other crops such as maize, sugar beet or potato produced similar dry matter yields. Fiber hemp is in no way exceptional in terms of weight yield. Herer claimed that hemp hurds, which make up 60 to 80% of the stem dry weight, contain 77% cellulose. Van der Werf argued that is wrong. Cellulose content of hemp hurds has been found to vary between 32 and 38% (Bedetti and Ciaralli 1976, van der Werf 1994). Possibly, Herer confused the hurds, which form the woody core of the hemp stem, with the bark, which forms the outer layer of the hemp stem. The bark contains the long bast fibers which are used in textile manufacturing. Herer claimed that millions of tons of hemp could be produced in the European Union. Hemp is a legal crop in the European Union (if it contains a low percentage of THC and the farmer follow some other EU rules) but hemp has not become the big commercial success that Herer anticipated. In 2010/2011, a total of 11,000 ha of hemp was cultivated in the EU, a decline compared with the previous year. ↑ "Erowid Jack Herer Vault". erowid.org. ↑ Snagfilms. "Watch "Emperor of Hemp" Full Documentary Online Free - Snagfilms". Snagfilms. ↑ "History of the Cup", Steven Hager, High Times Cannabis Cup, September 23, 2004. 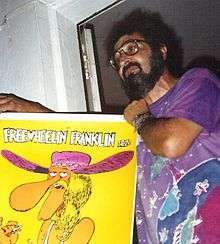 ↑ ""The Emperor Wears No Clothes" Marijuana Author Jack Herer Collapses After Stage Appearance at Portland Hempstalk". Cannabis Culture. ↑ Saker, Anne (2010-04-15). "Jack Herer, father of marijuana legalization movement, dies at age 70 in Eugene". The Oregonian. Retrieved April 16, 2010. ↑ Dewey LH (1943). "Fiber production in the western hemisphere". United States Printing Office, Washington. p. 67. Retrieved 25 February 2015. ↑ "Agriculture in the European Union, Statistical and Economic Information 2011, European Union Directorate-General for Agriculture and Rural Development, page 283" (PDF). Retrieved 2013-11-09. Wikimedia Commons has media related to Jack Herer.